It’s no secret that shopping for a vehicle can bring a lot of stress and anxiety. Even if you’re an experienced shopper, this isn’t an easy task. After all, you’re making one of the most important buying decisions of your life. The best dealerships want to make things a little easier on you, which is why they have a large inventory of used models to pick from. When you buy pre-owned INFINITI vehicles in Metairie, LA, you’ll love the advantages these options give you as a driver and owner. Used cars aren’t for everyone. Some shoppers in Metairie, LA, prefer buying and driving new models. There are good reasons for this, but if finances are a concern, pre-owned vehicles could be the way to go. A model even just a few years old could cost thousands less than a brand-new model. If you absolutely need your payments to be on the smaller side, choose something used. You’ll keep more money in your pocket every month, and you can still find a reliable car or SUV to meet your needs. Perhaps the biggest drawback to buying and owning new cars is that they drop in value quickly and steeply. Sure, you’ll love the reliability and the amazing, state-of-the-art features. But your new car will also lose up to half its value in just the first couple of years. Pre-owned INFINITI vehicles aren’t like this. A quality used car will hang onto its value much longer and much better. In fact, you could turn around and sell the car a few years later for close to the same price for which you bought it. You may want to shy away from a used car because you know it won’t have warranty coverage and may be in average or poor condition. However, the best dealerships in Metairie, LA, have certified pre-owned models you can test-drive and select. Qualified, skilled mechanics thoroughly inspect these vehicles from top to bottom and give them their seal of approval for dependable driving on the road. You can have confidence in their performance and condition. Plus, you can purchase an extended warranty on these vehicles and have the protection you want for repair costs. 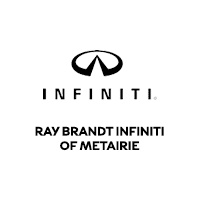 When it’s time to drive a different car in Metairie, LA, visit Ray Brandt INFINITI. Here, you can shop for pre-owned INFINITI vehicles and find the perfect model at a price you can be happy with.